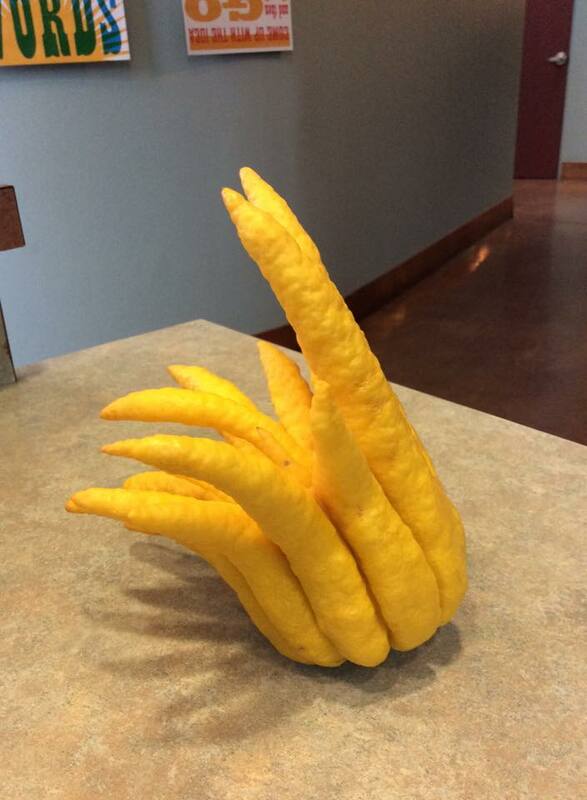 David, the gardener at my office, was kind enough to bring me a Buddha Hand - Citrus medica var. sarcodactylis. Also called a 佛手 (Fuo Shou) in Chinese. He knows I'm a plant nerd with a love for weird things. 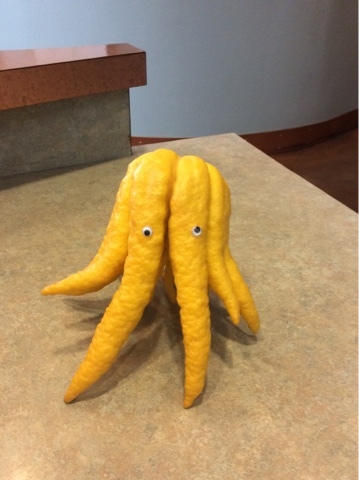 Curious coworkers have been asking me what it is and I like to tell them it's a "Frankenstein Squid Lemon." 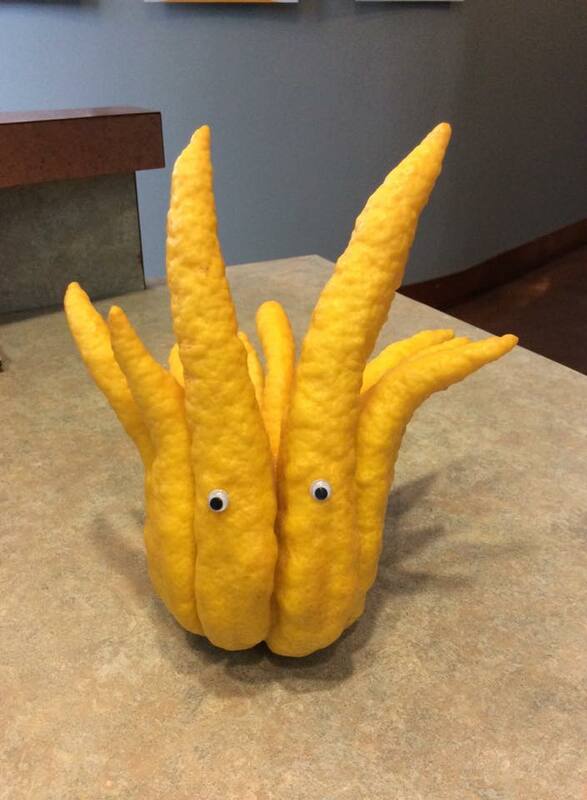 What it really is, is an ornamental Citrus. 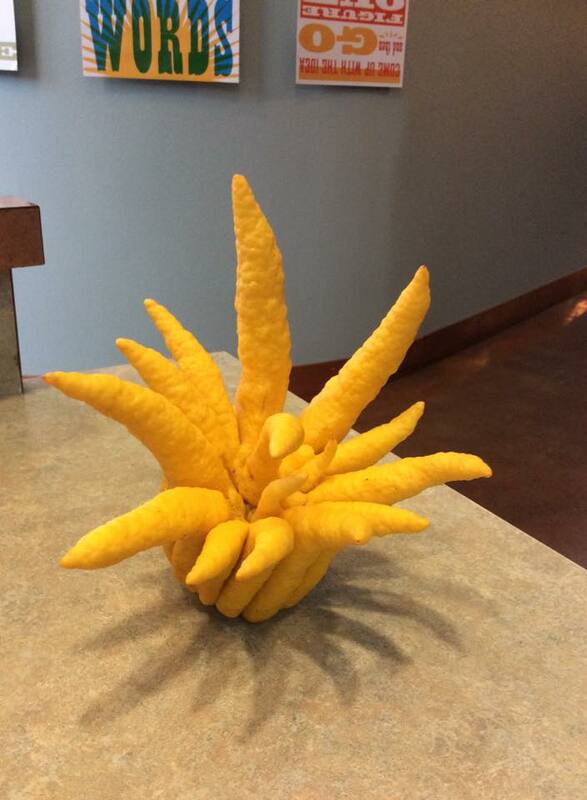 It has a beautiful aroma, it's not quite like a normal lemon, but more like floral citrus flowers. It easily perfumes the area around my desk just sitting on the counter top. They are often used in temples or on shrines as offerings to the gods or Buddha. The fingers of the citrus are said to resemble the hand of Buddha. Having spent time in China and living in Taiwan, the smell of this fruit always takes me back. I would often see and smell them at the temples I would visit. One temple in particular, Longshan Temple, was near my near my home in Taipei. I would visit often just to soak it all in and commune with the gods. Longshan has a god for every need. Longshan Temple 龍山寺 - My favorite temple in Taiwan. An alter with offerings at Longshan Temple. It is an auspicious fruit representing good fortune, happiness and long life. 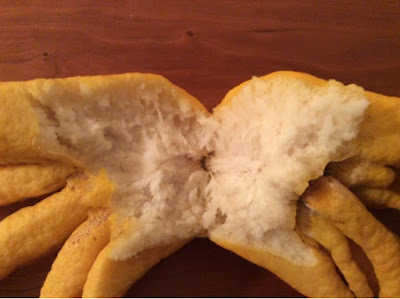 These fruits are not like regular lemons, as they are mostly peel and pith and not juicy at all. The rind can be used to flavor foods and alcoholic drinks and it can be candied. I think it's often used in traditional holiday fruitcake - The lead bomb Christmas kind. If you see one at the store, be sure to check it out. At least give it a sniff. You might get some funny looks, but it's worth it. After a few days, my Frankenstein Squid Lemon got soft and was clearly on its way to rotting. I pried it in half and opened it up to expose the pithy interior. Not much in there, as you can see. 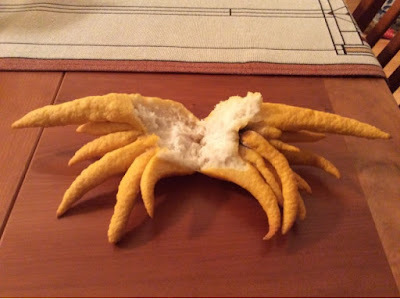 My squid lemon had now turned into a "crab lemon". I've never seen one of these at the grocery store, but I'd love to give it a try in cooking. I see it a lot of Food Network shows.